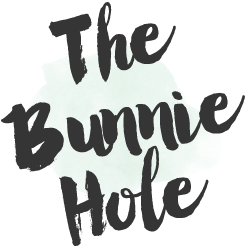 TheBunnieHole | Vancouver Youtuber & Blogger: Review: Sally Hansen Moist & Matte Lipcolour...too good to be true? 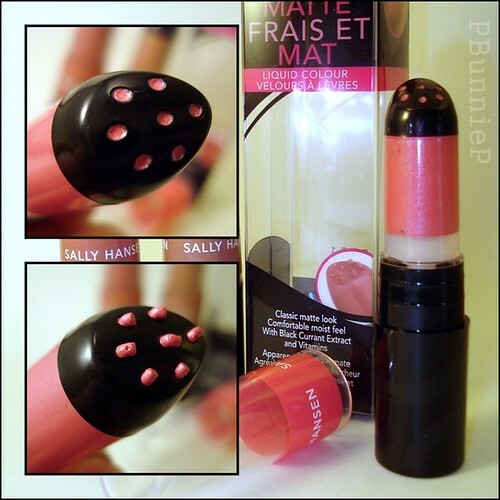 Review: Sally Hansen Moist & Matte Lipcolour...too good to be true? Matte lipstick is not for everyone, there's a lot of things that can go wrong when you are working with this texture. They may conjure up thoughts of "traditional" formulas that were dry, hard to spread and flaked easily resulting in a LESS than kissable pucker. I came across these SALLY HANSEN Matte & Moist Lipcolours at $2 each, so I thought I'd give them a chance. 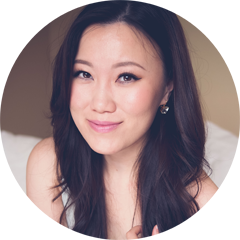 Normally, I gravitate towards cream finishes and though I do own a couple of matte formulas (MAC ones) I am very weary of the colour settling into my liplines. These are liquid/creme lipsticks that come in a twist up tube. I've seen designs like this from various Japanese cosmetic brands (especially Maquillage) however, they often had sponge tips. The plastic tip with the HOLES in it, doesn't spread the lipstick well and I have to end up rubbing in with my fingers or using a lipbrush. Well, so much for ease of application. The texture of these are rather thick and "creamy" but they were not emollient at all. They didn't feel moisturizing and upon looking into the ingredients, I suspect its because of the TALC content. 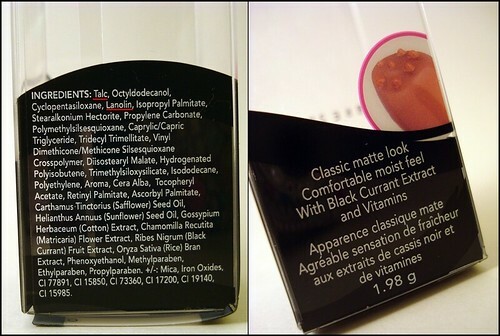 I'm guessing that is what they used to "matte" out this formula but seriously, why would anyone make a lipstick with TALC as its first ingredient? Though the packaging claims that this lipstick contains vitamins for nourishing the lips, I gave up hope after seeing the order of ingredients and after being rather disappointed by the texture and application. While I do like the Linen colour, these guys are just not for me. They weren't particularly long lasting, the application was problematic and the lipstick just felt rather weird on my lips. Great concept, just wrong product. Maybe that's why they were $2/each. Got a good MATTE lipstick to recommend? I'd love to hear it!